Genomics researchers are all too used to seeing DNA sequences represented as long lists of A, T, C and Gs but could there be a better way to analyze this data? 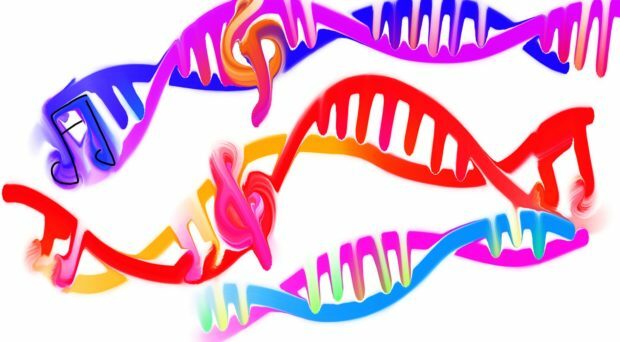 The recently published article by Dr Mark Temple of Western Sydney University suggests that representing DNA as musical notes could aid us in identifying stop and start codons and even help us to spot mutations that otherwise could prove much more difficult to find. Sound has been used in the past to help aid analysis; even as far back as 1948, Alan Turing’s computer used different sounds to help indicate the progress of software to the user. 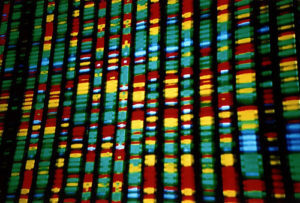 As the amount of available genomic data increases, researchers are increasingly seeking new ways to analyze and seek out unique features. Using sound to identify these features – in the same way that Turing’s machine used sound to identify progress – could provide a novel way of processing these large data sets. Dr Temple developed six separate sonification algorithms that could each parse a DNA sequence and convert it into a musical score. Some of the algorithms worked by treating each nucleotide as an individual note, while others used di- or tri-nucleotide groups, the protein sequence itself, or the codon reading frames. The resulting musical notation can then be played in the same way as any conventional music. This approach is particularly useful as it can highlight start and stop codons by using them to turn the music on or off, making those points in the DNA sequence abundantly clear. And this could be just the beginning of sound-based DNA analysis. As further research is carried out in this area, software could be developed that uses different sounds to represent features like binding sites, restriction endonucleases sites and SNPs. Today’s DNA sequence browsers may use conventional analysis tools but perhaps we will soon see sonification algorithms like these included as well. So while we may not see a DNA-based song topping iTunes, DNA sonification may open new avenues in DNA sequence analysis for researchers around the globe. DNA sounds good, but can anyone understand what it tries to say?? Danielle is a Senior Assistant Editor for the BMC-series. She joined BioMed Central in 2007 after completing her PhD at the University of Reading, UK.